We have just finished celebrating the Resurrection! The message is: Jesus has been raised from the dead! He is risen! But the question that lingers in the back of my mind is: How is he risen? Now, I don’t mean to question the particular mechanics of the event, such as the exact manner of how God did it, but rather the question seeks to address his present place in our thinking in light of the resurrection. Many confess the resurrection, but the question on the table for this discussion is: What does that resurrection look like? Allow me to explain! There are many people who will acknowledge the resurrection, but they think of Jesus as merely a historical figure who was raised from the dead who has no bearing on their present everyday lives. 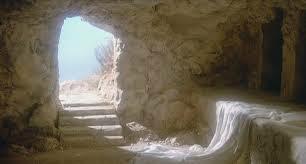 To them, the resurrection is merely a historical fact with no contemporary relevance. Jesus was raised from the dead and he lives, but he only lives in history! And then, there are those who will acknowledge the resurrection, but the Jesus who lives, lives only within the pages of their Bibles! To them, Jesus is alive, but he lives only as a literary figure; much the same way as Mark Twain and Sherlock Holmes. The question of the actual historicity of Jesus is not central in their thinking. Jesus lives in their minds as merely a literary character in a book! And then, there are those for whom Jesus lives only as a mythological figure, on the same plan as Zeus, Thor, and Santa Claus! They have doubts about an actual historical Jesus and are satisfied with the idea of the resurrection being a mere religious myth. In the same vein, there are those who acknowledge a historical Jesus, but view the resurrection only as a religious myth. Many of these same people will acknowledge Jesus as a great moral teacher on the same plane as Confucius, Aristotle and Plato. There is also, what I would call, the nominal Christians. These people celebrate the resurrection, but in reality Jesus is alive only in their hearts! He is an internal source of comfort and inspiration for them, but that is the extent of his present life as far as they are concerned. But what is the truth of the resurrection? Well, according to the Bible, Jesus is alive and well and even now sits at the right hand of power! He is not a mere influence or memory, but rather he is the Living Lord who is directing and guiding the people of his Kingdom! He was raised early that 3rd-day morning and is alive forever more! And one day, that same Jesus that was raised from the tomb, will come back to this earth again in the consummation of history as we know it! This entry was posted in Exegetical Studies, Inspirational Thoughts, Teachings and tagged Lord, new life, resurrection. Bookmark the permalink.